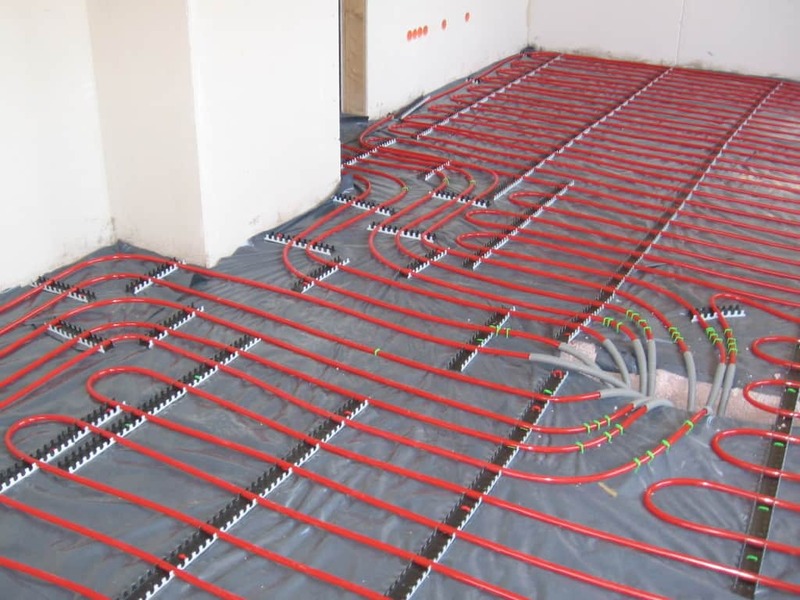 Hydronic heating is a way of using heated water to distribute heat through a series of tubes / hoses that reside directly underneath flooring. Through radiant heat, the hot water that flows or sits in these pipes expels heat that flows upward. Starting with warm floors, then filling the air above, hyrdronic heating is a very energy efficient way to keep your floors and house warm. There’s very little in the way of published resources related to this type of practical and affordable heating, one handy resource is this site that covers the topic fairly well.